Sail Nelson run 5 day cruising courses almost every week from the beginning of November until the end of May. All Courses start 10am on Mondays. Please indicate your preferred dates and we will get back to you to advise of an available course. We are always very happy to offer advice regarding the best course for your experience and skill level. Once a suitable date has been agreed bookings are confirmed on receipt of your $600NZD deposit on a first-come-first-served basis. Your deposit is fully refundable and there are no charges for date changes prior to payment of the balance for your course, 4 weeks before the course commences. 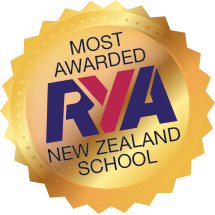 Cost of the 5 day (4 nights) practical RYA sailing course is $1995.00NZD including local taxes. The course is fully inclusive of all food, fuel, berthing fees, tuition, RYA certification and accommodation on board. Enter Preferred Start Date * Indicate your preferred dates and we will do our best to fit you onto an available course. Date of Birth * Enter as (DD/MM/YYYY) format. Name * NOTE: This must be someone who is not on board the boat. Liability While the school carries appropriate insurance and takes every care to ensure your safety and that of your equipment, there are risks inherent in all outdoor activities. The school accepts no responsibility for injury, accident, damage or loss to your person or property. Nor shall it be liable for claims or expenses caused by delays due to sickness, accidents, weather, strikes, war quarantine or other causes outside the control of Sail Nelson either before, during or after the course. Skipper’s Responsibility Your instructor is the skipper and is in charge of the vessel at all times. Your instructor’s decisions are final in all matters concerning the operation and running of the yacht. If you have a complaint or a problem, we will do everything in our power to make it right. Please raise it with your instructor as soon as possible. Should this not be appropriate, or if you are unsatisfied with the outcome, notify Sail Nelson of your concerns, in writing, within 30 days. Should the matter remain unresolved, contact NZ Coastguard Boating Education PO Box 2195, Auckland. Fluent English Fluent English is required and expected. Cancellation terms A deposit of $600.00NZD is needed to confirm your place on the course, with the balance payable no later than 14 days before the course begins. Two thirds of your deposit is refundable until 60 days before course commencement (unless arranged otherwise in writing).